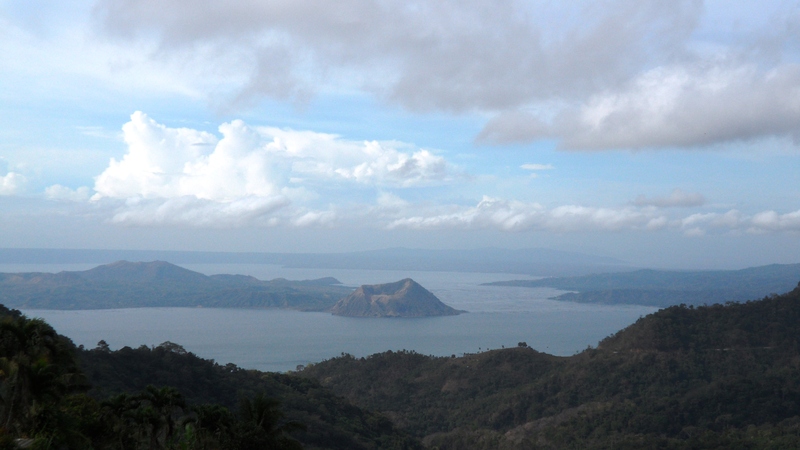 My post about the Lake Jacomo reminded me of the Philippines’ Taal Volcano and Lake. 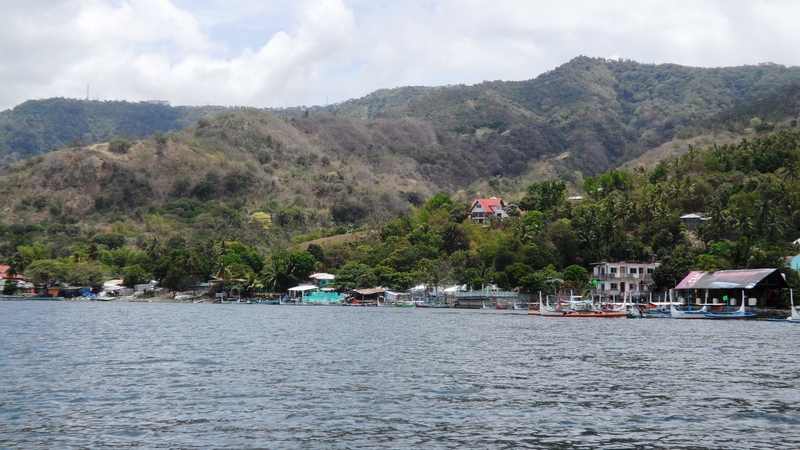 So, I decided to post a few photos of the volcano and lake Tashi and I took during our visit to the Philippines last April 2011. 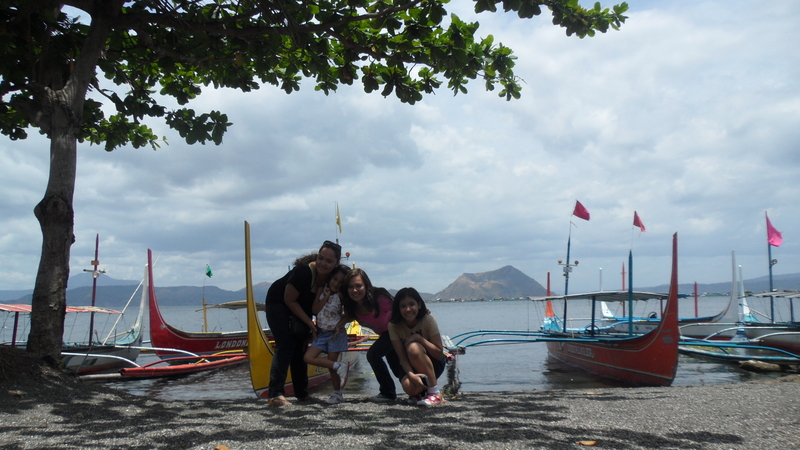 Initially, our plan was just to go to Tagaytay to buy balisongs (butterfly knives) and to proceed to People’s Park in the Sky and Picnic Grove for some sight seeing before heading back to Manila. However, after witnessing the stunning view of the lake and its surroundings, Tashi and I and the rest of my family decided to go down to the lake, take the boat tour and get a closer glimpse of the crater. A couple of people we met at the Picnic Grove offered us a good price for a boat tour and a few hours stay at their resort. We were also informed that a hike to the top ridge of the volcano was not possible at that time because the volcano was showing signs of unrest. My parents and my friend Aimee freaked out! 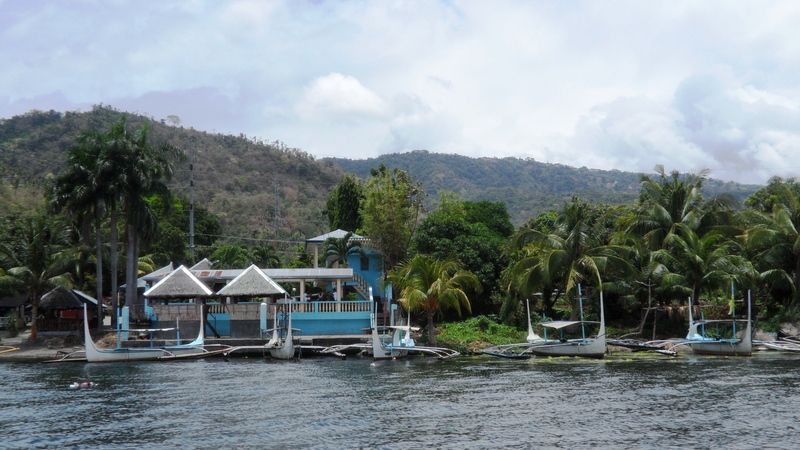 But our adventurous side has already been awakened so the more that we wanted to take the lake tour. Our guides assured us that it was safe to go but my parents weren’t convinced (they witnessed several eruptions of Mayon Volcano, so no one can really blame them). The road going down was steep and my dad got more worried – about us getting trapped in case the volcano chose to erupts day and about the jeep’s ability to go back up. We pretended not to hear his worried comments. As soon as we got to the resort, we had lunch and rested for a few minutes then got ready for the tour. My mom, Aimee and her youngest daughter as well as my sister and brother in-law chose to stay at the resort while the rest of us headed to the lake. 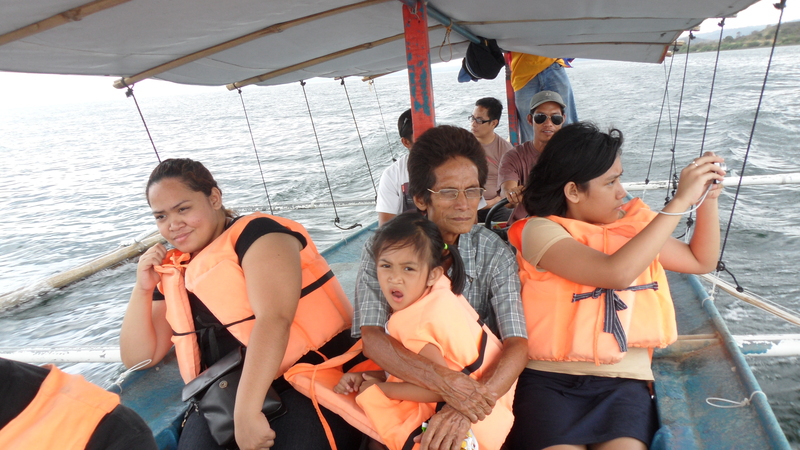 Two tour guides accompanied us to the boat and off we go. Per our tour guides, the tour will take an hour. In less than twenty minutes my niece, Nina was already getting bored. I guess boat tours are not for kids! The tour went peacefully until the last fifteen minutes. 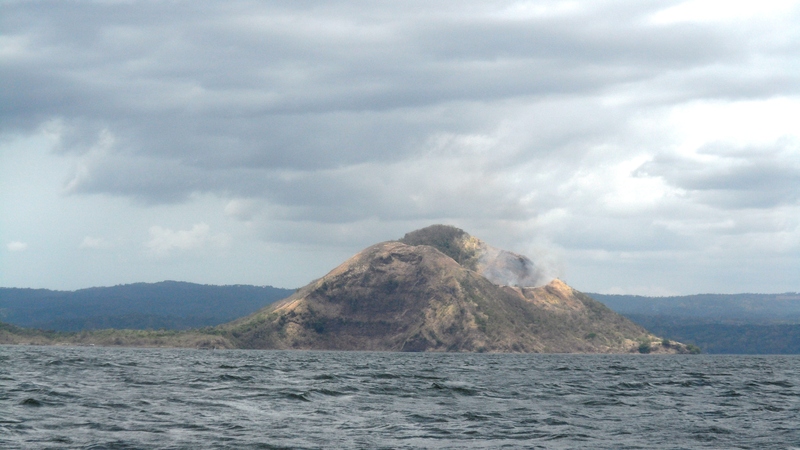 On our way back to the resort, someone excitedly (and maybe nervously) exclaimed that smoke is coming out of the crater. Our tour guides assured us there was nothing to worry about. Although I knew that the locals wouldn’t put us in danger I must admit it was a little freaky. I secretly wished the boat would go a little faster! The crater was still smoking (and I thought I saw fire) by the time we got back to the resort. Going back to the town, we decided to take a different route as my Dad was really worried about the jeep. And that was a mistake. We ended up taking a road still under construction (imagine the dust we inhaled) and with more ravines! Thankfully, we safely got back to the town and now it was time to go back to the Picnic Grove to buy some souvenirs. What an incredible adventure!